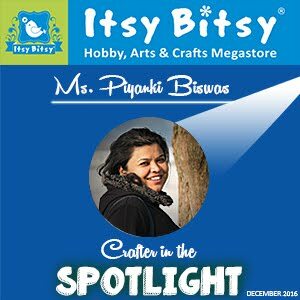 Good Morning friends, A very warm welcome to my crafty space. Though its quite a rainy season here in India, I still cant get over Sunflower...Lols. Yes, my project for today features Susan's Sunflower die. I have enjoyed thoroughly making sunflower. So I find various reasons to place them in my cards. So here's what I have today! Used a watercolor background splashed with some sprays and brush. This time for the center I have used the black prills along with the center fillers die cuts. 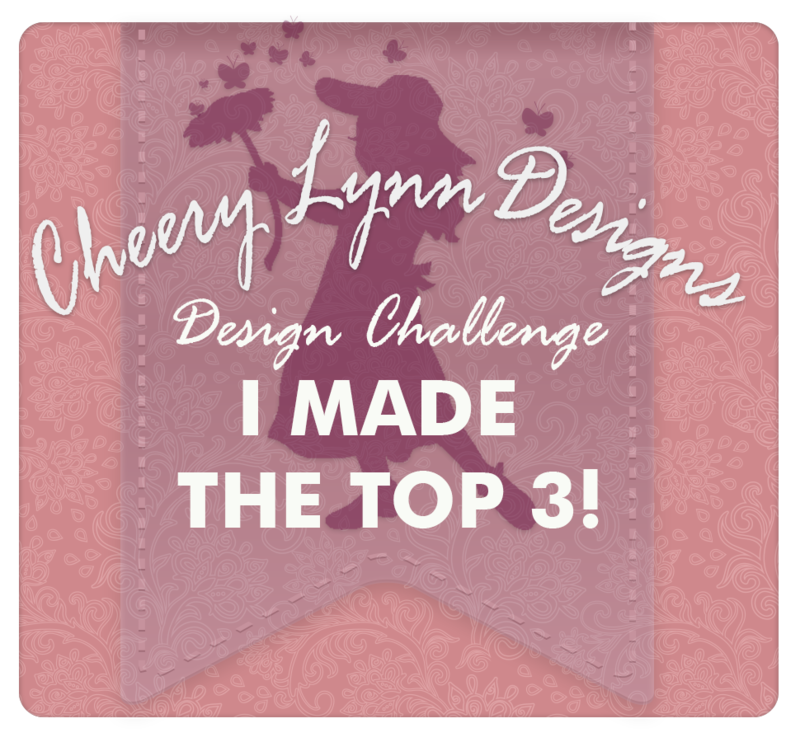 I appreciate you stopping by, do share your love and comments! Hello friends, warm welcome to my blog and thanks for stopping by. I continue to create and share some more beautiful Christmas Cards with you all. 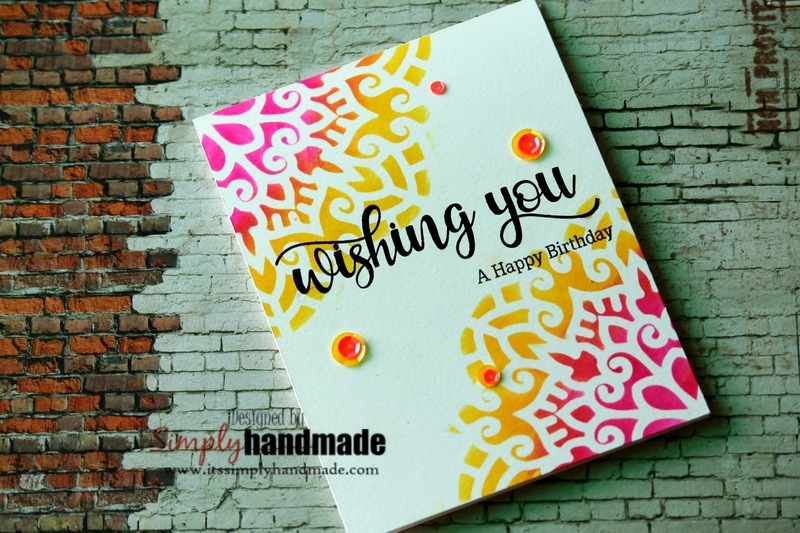 This one is a front Pocket Card which can hold your message. Its a tall card that measures 7" x 4". 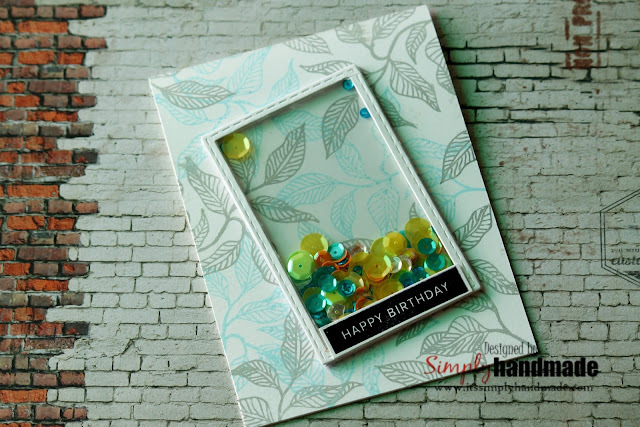 Score and cut a white card stock at 7" X 8" and score at 4" to form the card base. Cut a black card stock which measures 1/8" less than the card base. Cut another piece of coordinating paper from the Festive Holly Paper collection which measures 1/8" less than the black card stock. For the last layer cut another piece from the paper collection which measures 2" less. Score one of the Inserts from the Pocket and Flipfold Inserts A - Black and adhere to the top of the all layers. This will form the pocket for the card. 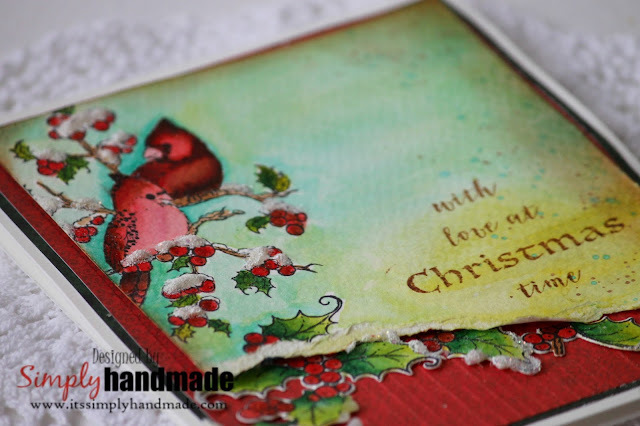 Die cut a piece from the Festive Holiday Die from a white card stock and lay it beneath the pocket created. 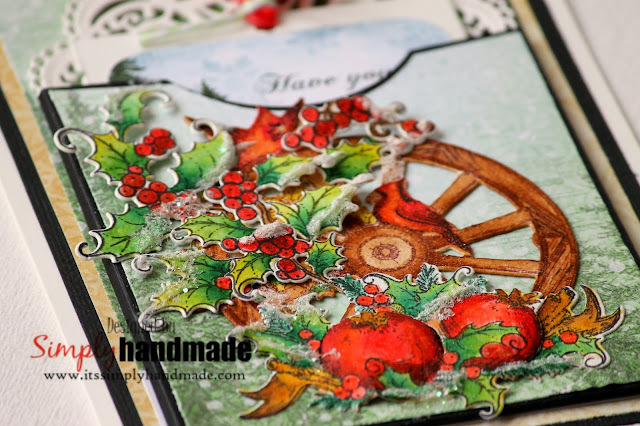 Stamp and die cut the wheel using archival black ink from the festive holiday Die from a water color paper and color it with coordinating distress inks. 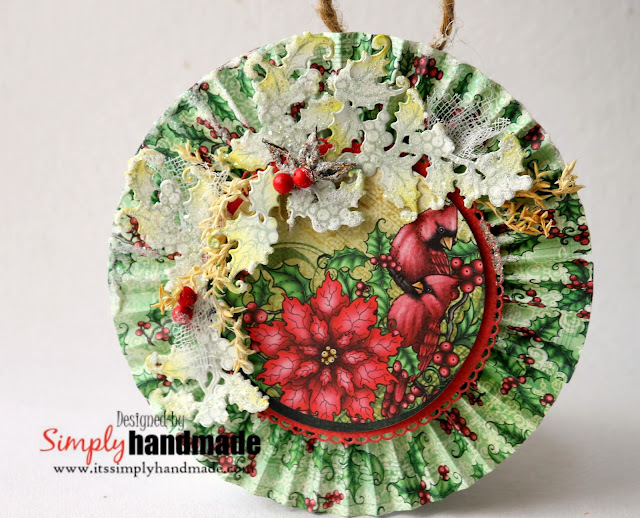 Stamp and die Holly Berry Jingle die using black archival ink and water color using distress inks. Stamp and cut several piece of Festive Holly cardinal die using Archival ink and color the same with distress ink. 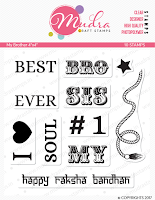 Once all images are colors and shaped, assemble all the stamped images on the pocket formed. Add some snow using the frosted powder and heat set it. To finish the card fussy cut a tag and tie a ribbon for the pocket which carries the Christmas wish. Soon will be back with some more fun creative projects. 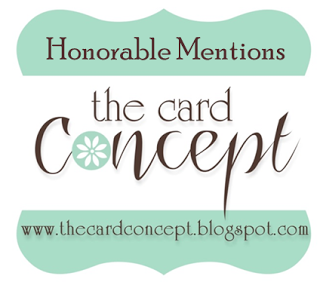 Welcome Friends to my blog! Hope you are having a great weekend. 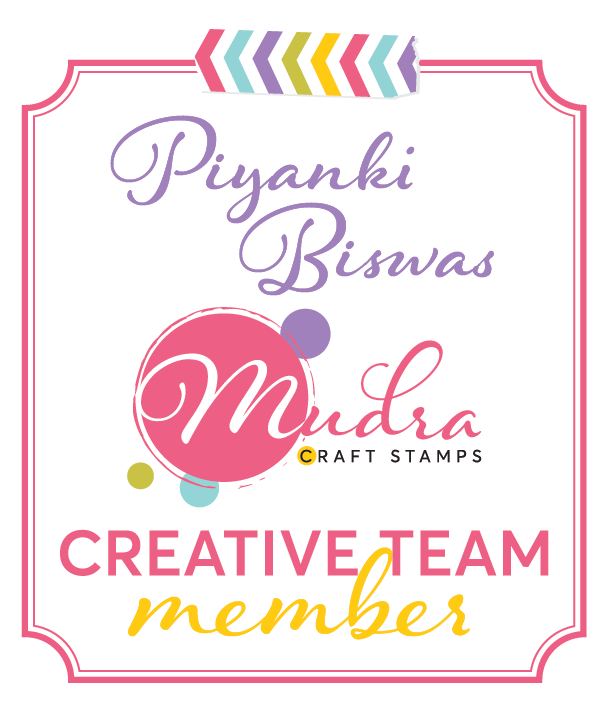 As you all know last month I started my journey with Mudra and today I have some CAS cards for celebrating Rakhi. 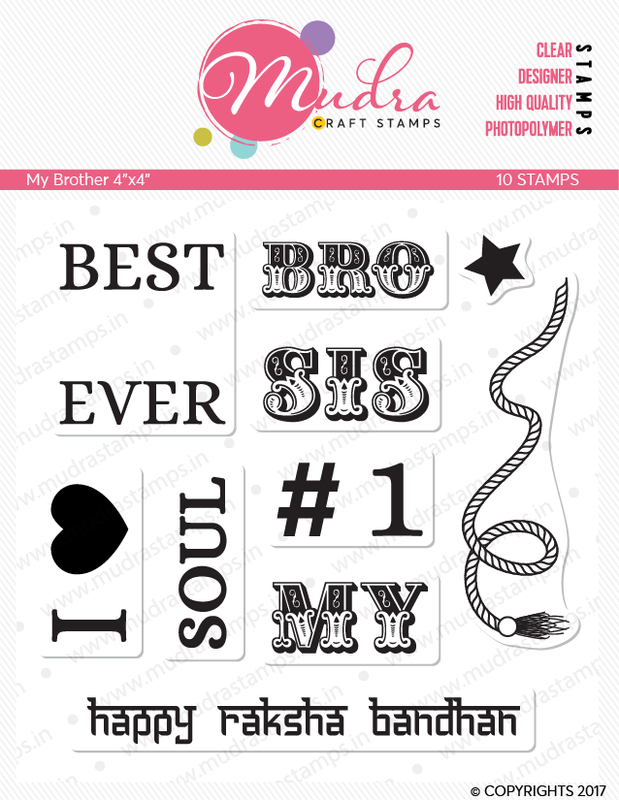 Mudra released some beautiful stamps for creating the perfect gift for your brother or as a return gift for your sister. So here we go with the cards. I used the below stamp set to design the card. 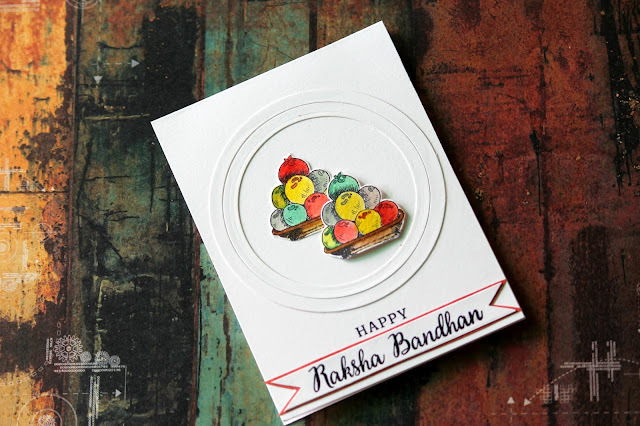 Sweets are the key focus of Rakhi, I am sure all of us will agree with me on this. 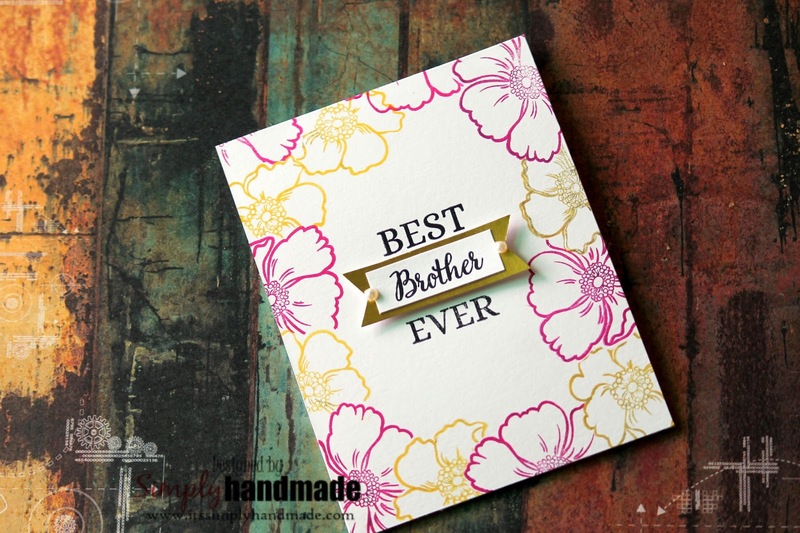 I have combined 2 sets here for the below card with little Gold embossing. 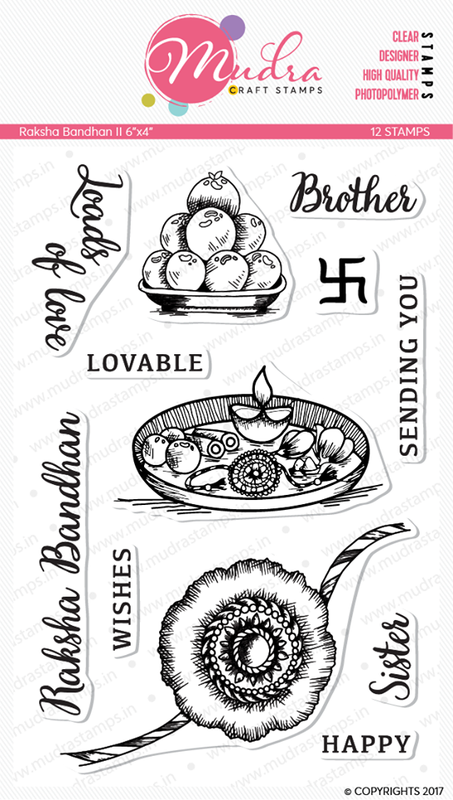 This one has one of my favourite stamp from Mudra along with the newly released. Thats all I have for today. 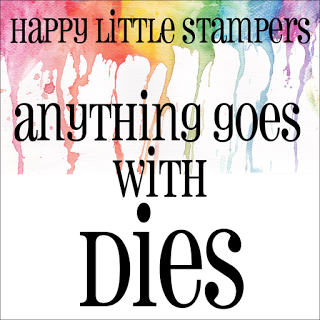 Whats your inspiration, how you have used these stamps in your creation , would love to see and get inspired. Untill then Happy Crafting and see you soon! Hello friends, by this time as you know its Christmas already at heartfelt Creations! We all are happy creating Christmas Cards and you would witness the beautiful cards and projects at the blog by all the talented designers from across the world. Today I chose to create a Rosette instead of a Card. I love the concept of rosette however never made one in the past so the theme was absolutely apt for me to create one this time. The final rosette measures 6" in diameter. 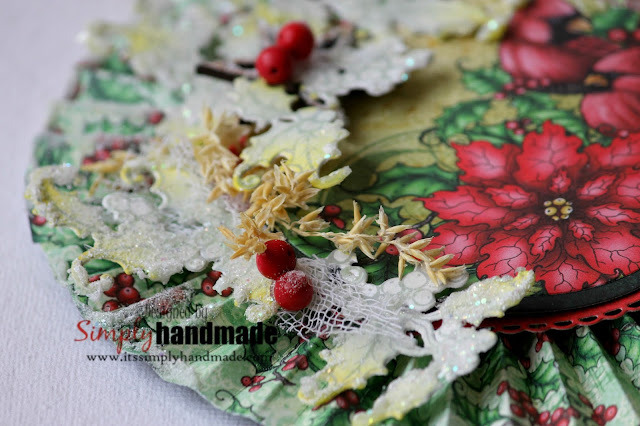 Cut 2piece of 3" x 12" strip from the HCDP1-280 Festive Holly Paper Collection. Score at 1/8" of regular intervals. Join the 2 12" strips and fold the scores at regular mountain and valley. Join the 2 ends to with glue gun place it on a small piece of paper to form the rosette. Die cut 2 pieces using the circle die with 1/8inch less and adhere to each other. Stamp and die cut multiple pieces from the HCD1-7146 Festive Holiday Die and stamp using Frosted Amber distress oxide.Shade and shape the sides of the holly leaves using frosted Amber and Iced Pruce distress ink.Once colored heat set the leaves using Rajni Chawla's frosted powder. For the snoow also I have used the Frosting powder by Rajni Chawla on top of the berries and leaves. 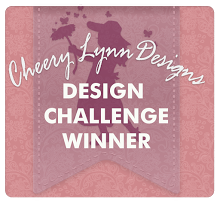 First place the rosette and then place the stack of die cut circles. Adhere and arrange the cluster of holly leaves and berries on a base of mesh and some dry artificial leaves.To finish sprinkled and heat set some snow using the frosted powder. 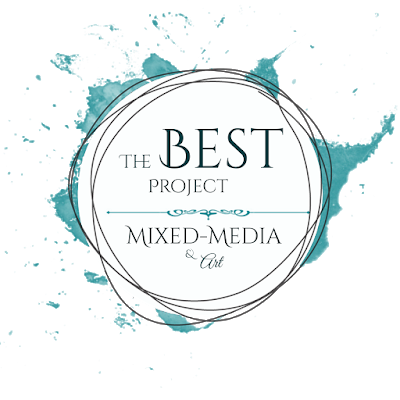 Let me know how you liked the projects. Would love to hear from you and see your lovely comments. Its a big day for me today. Thank you Varshitha for giving me this opportunity. I thank you for appreciating and liking my work and letting me sharing my creativity with you all! I have the detailed post at the Mudra here. Sharing with you below the close up of my projects. Love to hear from you. Leave your comments and love. Let me know how you like it. Happy crafting until then. A big welcome to all the readers. Today I have some fresh flowers from Susan's Garden for you all on a water color backdrop. Dahlias come in so many colors that you can create your own color therapy to create your dahlias. 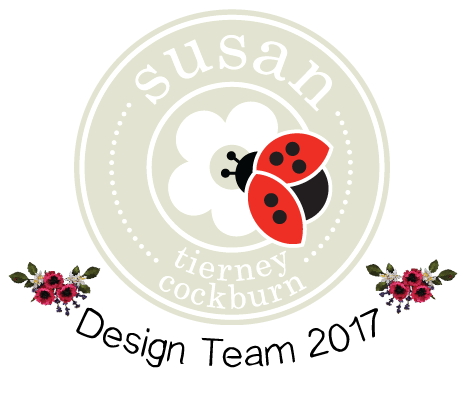 The dies are designed is such versatile way that creating any of the flowers from Susan's Garden is for sure easy. It also adds the original cuts and folds. Cut a water color card stock which measures 4" x 5". Sprinkle some water and then use some spray paints and random spritz them while heat set it. Continue the process until you get the water color background you desire. Die cut 3 pieces of entwined circles from white card stock. Adhere the 3 piece overlapping each other on the water color background. 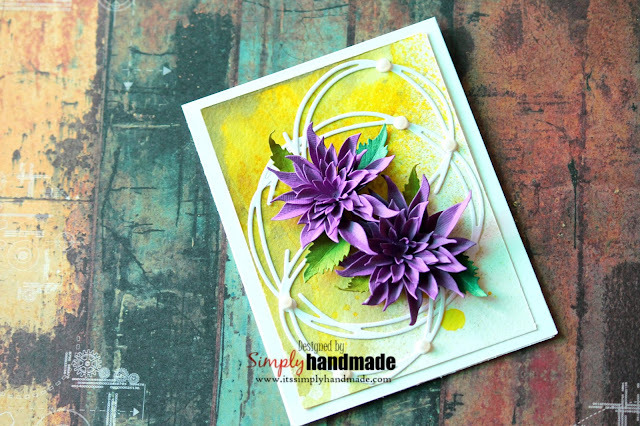 Die cut several pieces of the Garden Notes Dahlias from a lilac card stock. Shape and fold the petals and leaves using Susan's Metal Tool Set. 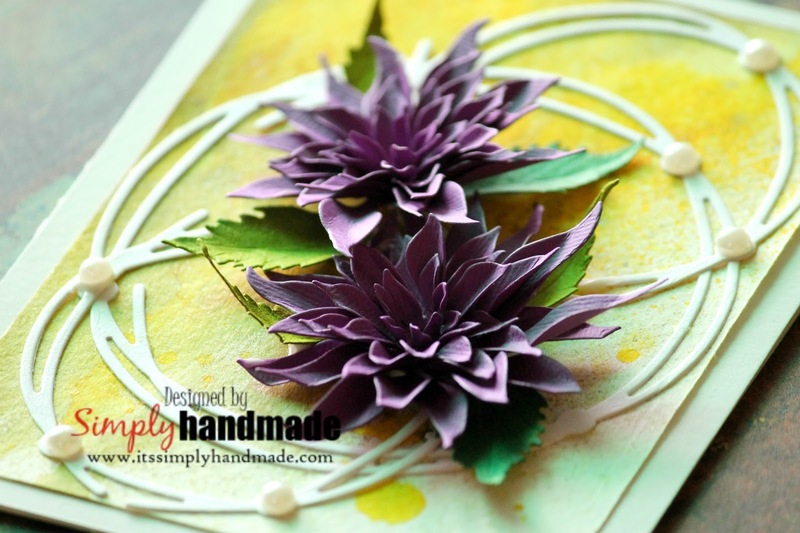 Once the flowers are shaped, arrange and adhere them in a cluster on the card panel created. Cut and score a white card stock at 4.25" x 5.5" for the card base. Adhere the card panel on the card base which will finish your card. Embellish the card with some pearl bling of your choice. Do leave your comments and love. Let me know how you like it and I will be back soon with some more creativity. Welcome friends to yet another fresh release by Heartfelt Creations! Yesss Its debuting Wednesday with the brand new Festive Holly Collection. 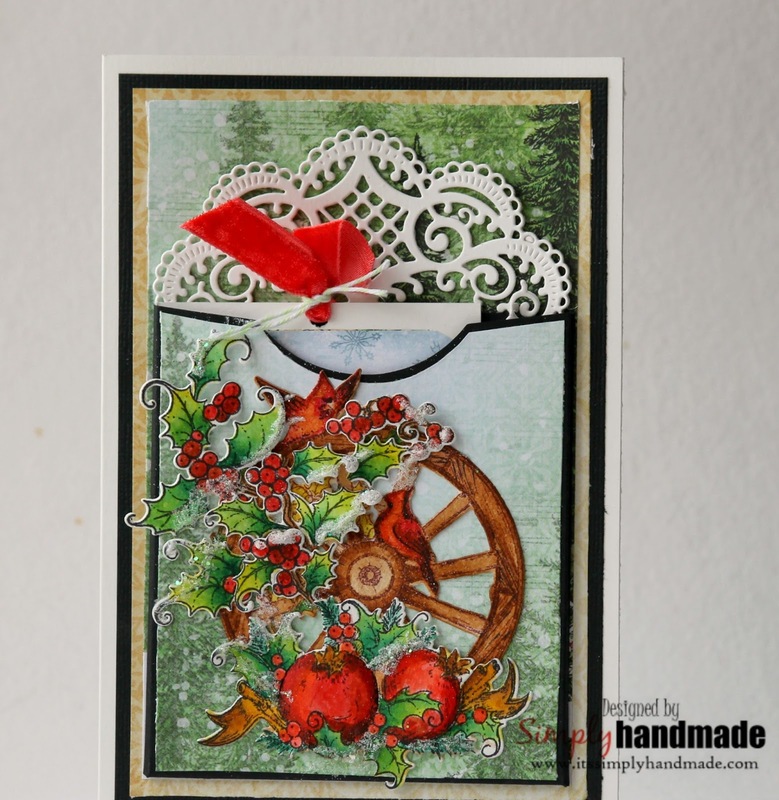 Its never too late to start making Christmas Cards and when Heartfelt Creations gives you the prefect blend of stamps , dies and paper then all year round it becomes Christmas. 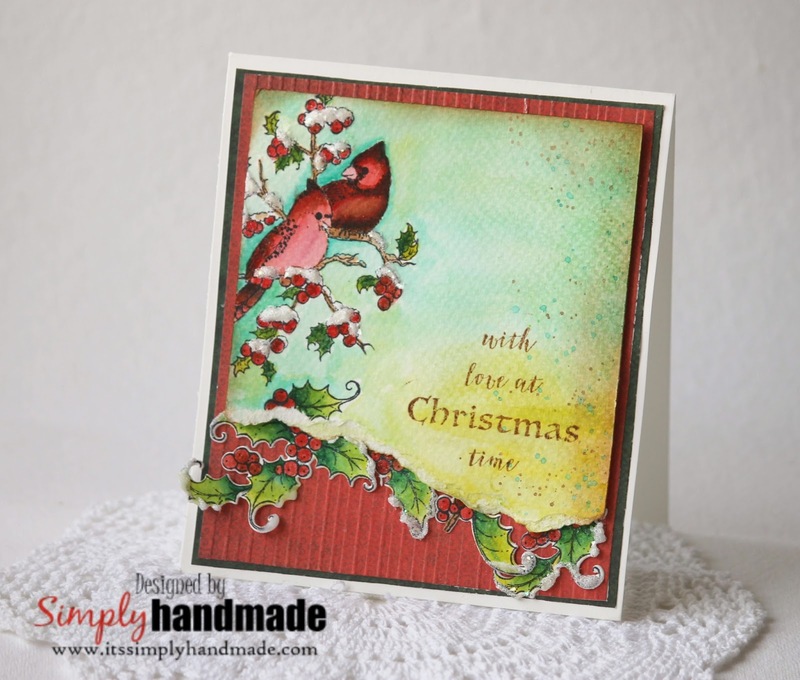 Festive Holly release has that perfect images, color , stamps and sentiments for your Christmas cards and projects. Its as always easy to create, the card panels are just perfect for the card you want to make in 5 minutes. So today I have a project with a water color card with some snow, cloudy and yet clear sky. 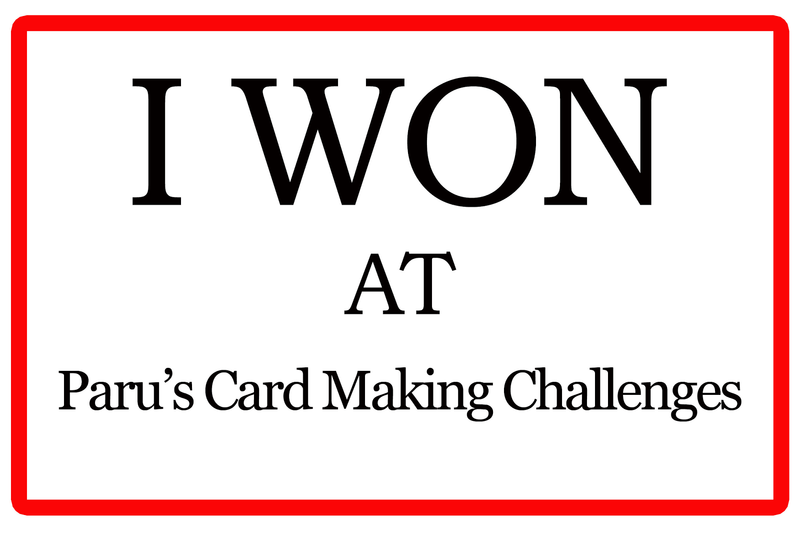 The final card measures 5.5" x 4.2".Its has 3 panels with a water color panel at the front. 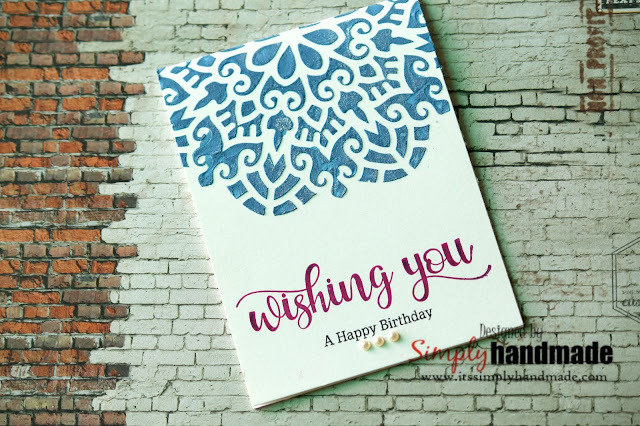 The card based is made from a white card stock.Used 2 co ordinating paper from the HCDP1-280 Festive Holly Paper Collection and cut them at 1/8th of the inch less. Score the pattern paper at 1/8th regular inch.For the front panel take a water color card stock and stamp the HCPC-3793 Holly Berry Jingle Cling Stamp Set using black archival ink. Use distress ink to color the image and the also color the background using pine needle distress ink. For the snow I have used the Frosting powder by Rajni Chawla on top of the berries and leaves. Once the front panel is completely colored tear the edges roughly and use it as the front panel.For the additional embellishment stamp the Festive Holly & Cardinals Cling Stamp Set using black archival ink and water color the image. and finish the coloring using water color.Place the front panel on a piece of foam and then tuck in the holly leaves beneath it. Again add the frosting poweder for the snow effect. So do share how you like it and share some love and comments. I have loads of inspiration projects lined up and will be back soon. Welcome friends to my crafty space. Hope you all are having a nice week and crafty one too. When you can use your creativity to decor your house what more can you ask for. What I have made today is something very close to my heart. I collect these old wine bottles and when opportunities comes I turn them into beautiful pieces of art. They are simple to make and yet looks so elegant. Its a part of the ongoing challenge on ECD blog and you much visit to see how beautiful projects coming from all the designers across the world. Take any old bottle of any shape and size. Use jute twines,Jute Lace and Fabric Lace. First cover the entire bottle with Jute twine. 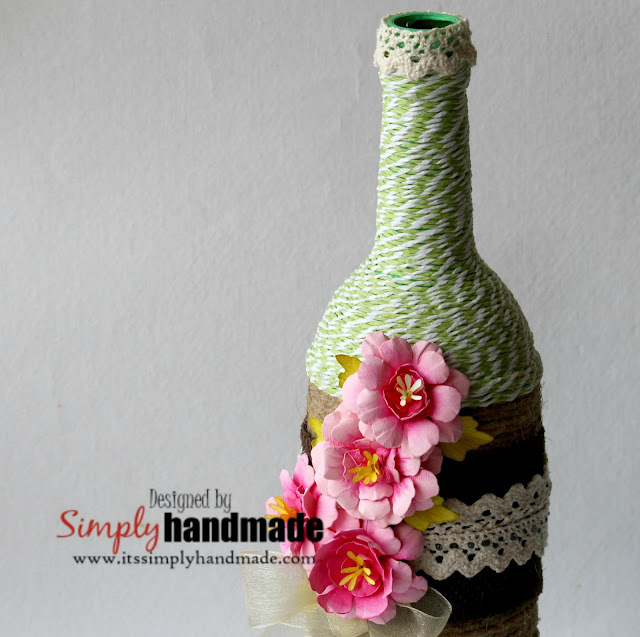 Use the Jute and fabric lace to wrap and cover the middle section of the bottle. Shape and color Begonia and arrange the bouquet on one side of the bottle. 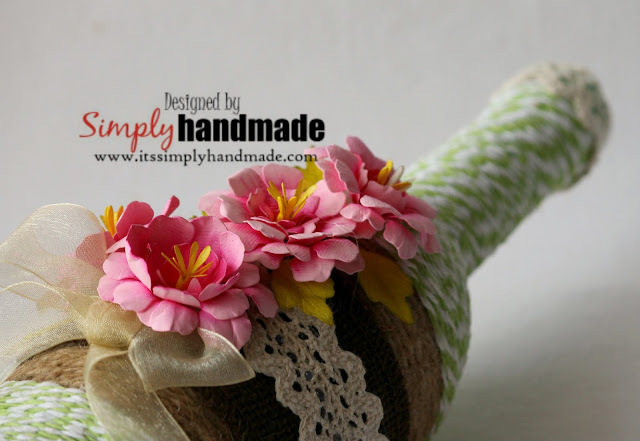 Use Glue Gun to adhere the flowers on as they will be adhering to the fabric. Hope you like it, do share your love and comment. Until then Happy crafting and see you soon at the next blog! 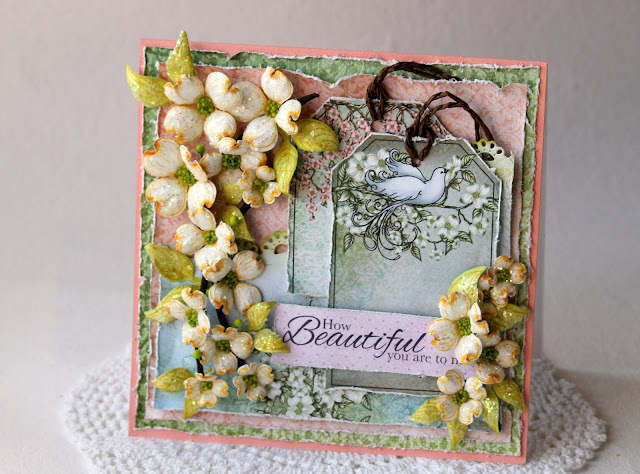 Welcome friends to another day where I have the beautiful Dogwood featuring on my Blog! I have used various layers on this card using the pattern paper which is absolute beautiful. 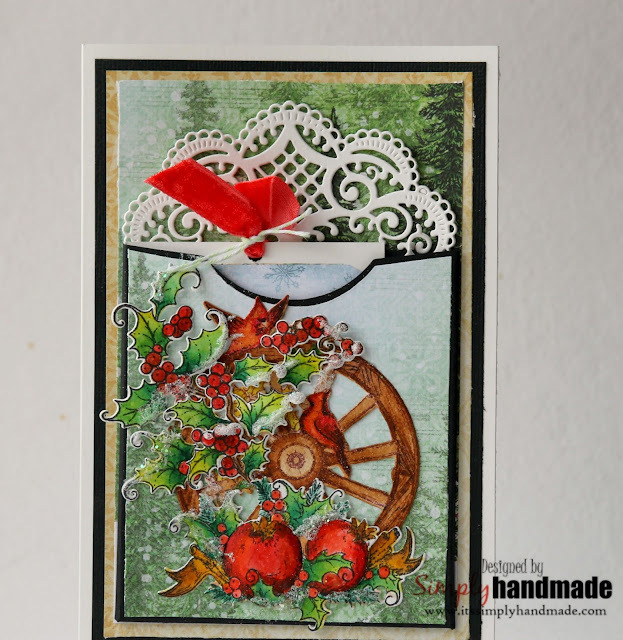 Start by taking a 12"x12" cards tock from the paper collection. Cut it at 5.8"x5.8". Cut another coordinating paper at 5.6" 5.6". 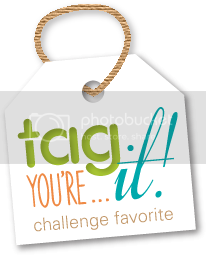 Take the Fluer basic Border Die and die cut from a white card stock.Cut 2 pieces of Tag shape from the Paper collection. Distress all the paper edges.Adhere all the layers and prepare the card Base. 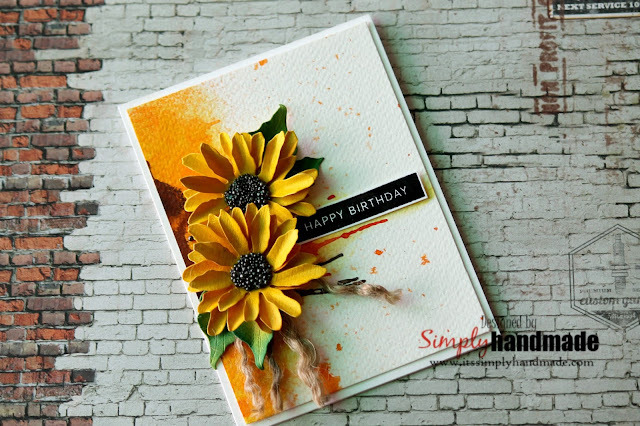 For the flowers Stamp multiple set of dogwood from the stamp and coordinatnig Die using a white card stock.Use pigment ink to stamp the flower and leaves.Using the coordinating dies, die cut all the stamped images.Use the Stack and store daubers to shade the flowers. Finish the flowers by stacking and lay it flat. Add prills at the center. Stamp and die cut the petunia classic bouquet using archival ink.COlor the images using water color and distress ink. Arrange the resin frame on one side of the canvas.Place the color petunia bouquet on one side of it using hot glue.Add prills, glitter, stamen as desired to complete the composition on the canvas panel.finish the flowers. Do share your thoughts and how you like my projects.